the New Orleans Jazz Museum at the Old U.S. Mint, 400 Esplanade. 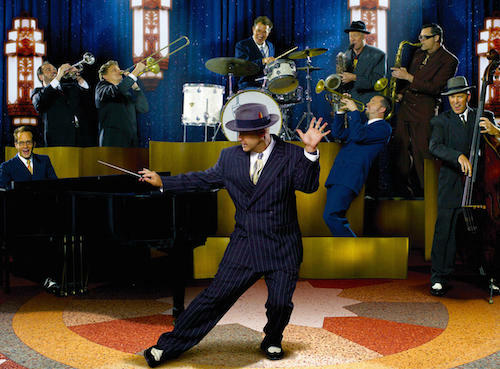 2018 marks the 25th anniversary of Big Bad Voodoo Daddy’s arrival onto the music scene. Since their formation in the early nineties in Ventura, Ca., the band has produced a sizable catalog of recorded music, with sales of over 2 million albums to date. The band was at the forefront of the swing revival of that time, blending a vibrant fusion of the classic American sounds of jazz, swing, and Dixieland, with the energy and spirit of contemporary culture. Choo Choo Ch’Boogie Co-Chairs of this year’s swinging gala include Kathleen & Bob Edmundson, Holley Haag, Grover Mouton, and Sandra & Russ Herman. These patrons have swung into action to ensure the success of the gala. Support of the Jump, Jive an’ Jazzin’ Gala enables the Louisiana Museum Foundation, a 501(c)(3) non-profit organization, to work on behalf of the New Orleans Jazz Museum at the Old U.S. Mint and the Louisiana State Museum, home to the Cabildo, Presbytere, and other museum facilities and historic landmarks across the state. The Louisiana State Museum is also the world’s largest conservator and exhibitor of artifacts relating to Louisiana’s history and vibrant culture, including exhibits and collections, an exquisite assemblage of early jazz objects, and nearly 500,000 other cultural treasures. The Foundation’s current major project is to work with the New Orleans Jazz Museum to transform this facility into a world class visitor destination. This event is made possible thanks to the generous support of the Goldring Family Foundation, Jones Walker, and Whitney Bank. 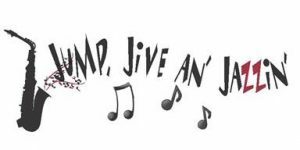 Tickets for the Jump, Jive an’ Jazzin’ Gala are available at www.theLMF.org or you can call (504) 558-0493. Attendees are encouraged to purchase tickets to the Pennies from Heaven Patron Party beginning at 6:30 p.m. and/or the Gala that begins at 8 p.m. Bon Bon Vivant opens the show at 8 o’clock and BBVD plays from 9 to 11 p.m. Tickets purchased in advance start at $60 and include the show, food, and a signature cocktail. $100 tickets include limited admittance to the Pennies from Heaven patron party, food, full open bar plus the show. Donations are tax deductible less the fair market value of food, beverages and entertainment.